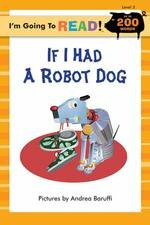 If you had a robot dog, what would you ask it to do? Fetch your ball? Fetch your bat? Fetch your jacket and your hat?